KUALA LUMPUR (Dec 22): Tan Sri Abdul Wahid Omar has termed a recent policy paper by the Institute for Democracy and Economic Affairs (Ideas), which says government-linked companies (GLCs) are crowding out private investment, as “misleading”. Speaking in his personal capacity today, Abdul Wahid — who is group chairman of Permodalan Nasional Bhd — told reporters that he supports the statement issued by sovereign wealth fund Khazanah Nasional Bhd on Thursday that rebutted the policy paper dated Dec 18. He was speaking after the fourth-quarter briefing and announcement of PNB's dividend payout for 2017. The policy paper, authored by Dr Jayant Menon, lead economist at the Asian Development Bank’s office for regional economic integration, had concluded despite Putrajaya’s drive to reduce government involvement in business, it had resulted in even greater government role within the same. The paper also called for further reduction of government participation in business, as GLCs are seen having better access to contracts and favourable regulations. In response, Khazanah said in its Thursday statement that the policy paper’s main conclusions were at best, selective and misleading. Khazanah argued there was little to no proof to support these conclusions. “The evidence put forth by this policy paper is weak and, often missing altogether, thereby lending itself to misleading conclusions. Moreover, the paper fails to provide adequate contextualisation to its arguments, leading to unbalanced perspectives,” Khazanah said. Lending his support to Khazanah’s rebuttal, Abdul Wahid added from his perspective over the years that GLCs had been driving the improvement in corporate governance standards locally. 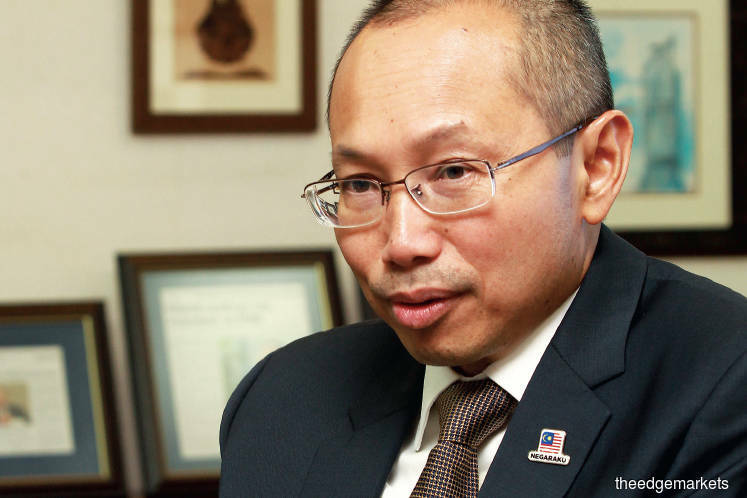 Prior to his three-year ministerial stint that preceded his chairmanship at PNB, Abdul Wahid had successively led United Engineers (Malaysia) Bhd, Telekom Malaysia Bhd and Malayan Banking Bhd between 2001 and 2013, in separate turnaround efforts to put the companies on better footing. Citing Khazanah’s 10-year GLC Transformation Programme that begun on 2004, Abdul Wahid said the programme’s outcome “had been tremendous”, as major GLCs had seen better financial performance and better governance that helped them contribute further to nation building. Between 2004 and 2014, Khazanah’s selection of 20 major GLCs (called G20) paid RM108.3 billion in dividends and RM63.5 billion in taxes. In the same period, G20’s collective market capitalisation nearly tripled to RM386 billion, as net profit grew at a compounded annual growth rate of 11.1% per annum to RM26.2 billion in 2014. “GLCs also play their social economic development roles in terms of providing equitable opportunities for employment, in terms of for the Bumiputeras, and business opportunities for Bumiputeras too,” Abdul Wahid said, adding this is before other corporate social responsibility efforts by GLCs are taken into account.